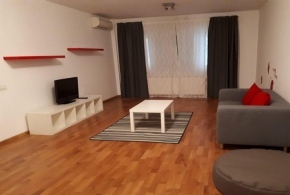 Studio for rent, Soseaua Nordului, 300 m from the entrance to Herastrau Park, on a quiet street in the Nordis Residence Complex. The block is new, from 2018, with 25 apartments and has permanent human security, gym and sauna. 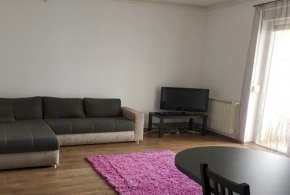 Fully furnished and equipped (dishwasher, refrigerator, oven, electric hob, bed and sofa). The pictures are real, inside. Surface - 42 sqm built, 35 useful. 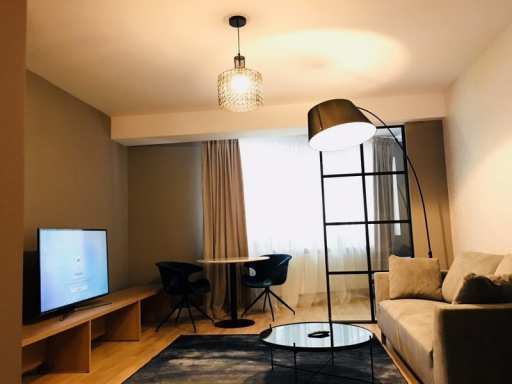 The studio consists of a lobby, spacious living room, open space kitchen, bathroom. The heating is done through the central heating system and the interior finishes belong to the premium range, including the Salamander triangle glazing, three-layered wood flooring, Marazzi ceramic tiles, Pinum doors, Villeroy and Boch sanitary ware, Vitra batteries.